You will earn 1320.00 bonus points. ? 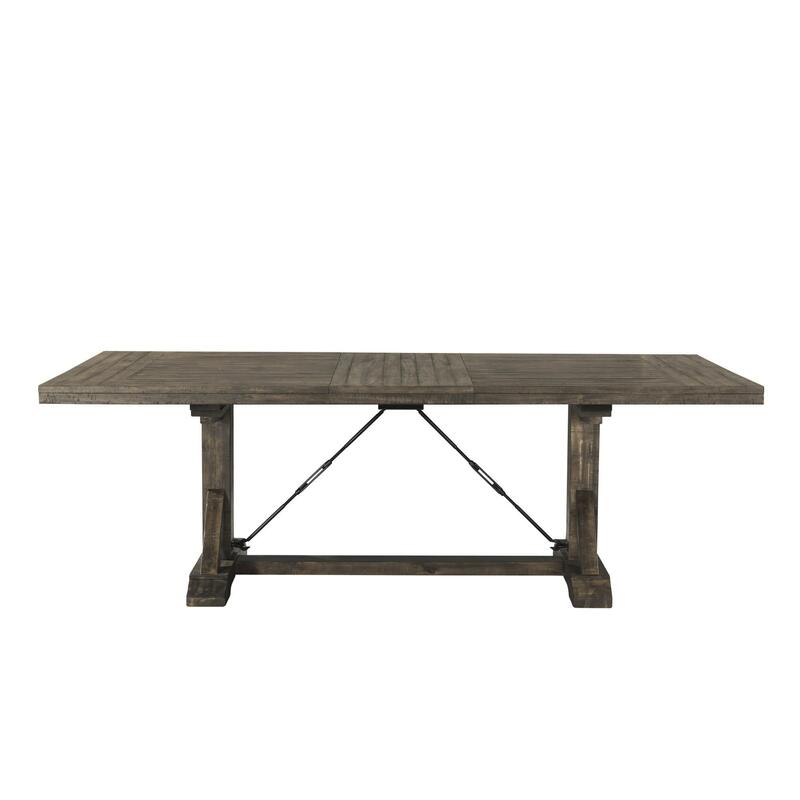 The Picket House Furnishings Flynn Dining Table is dressed in a distressed dark walnut finish, making it the perfect addition to any dining room. This handsome trestle style table features a removable leaf for added space. 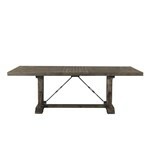 Turnbuckle metal accents complete the look of this rustic chic table.